Michele is passionate about working with couples at all stages of their relationship, striving to help facilitate a deeper and long-lasting connection through an integrative therapeutic approach with emotion-focused therapy at the core. She also enjoys working with individuals as they delve into personal issues and develop a healthier life experience. Among other post-graduate training experience, Michele has completed the Externship and advanced Core Skills in Emotionally Focused Couple Therapy, as she works toward EFT Certification. 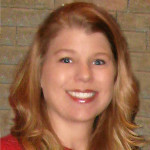 She is a member of the International Center for Excellence in Emotion Focused Therapy (ICEEFT.com), the American Psychological Association (apa.org), the American Counseling Association (counseling.org) and the Houston LPC Association (houstonlpcassociation.org). Michele is passionate about working with couples at all stages of their relationship, as well as with individuals as they work through life issues and strive to create healthy, sustainable interpersonal relations and individual life experiences.